CertaUPS has released the newest addition from the CertaUPS backup power range. The transformer free, online double conversion CertaUPS C800 solutions have been made to the highest manufacturing standards and are available from 10 – 30kVA. Characterising the same advanced philosophy, expertise and engineering pedigree that the CertaUPS series has become renowned for, the C800 has been innovatively created to utilise the most advanced technology to deliver increased performance and reliability. Thanks to its sophisticated internal battery capability, the C800 is a single footprint solution for the UPS and batteries. Its extremely small footprint can achieve up to a 50% space saving. Intelligent battery management also provides improved battery life expectancy and an overall operating output efficiency of up to 98%. 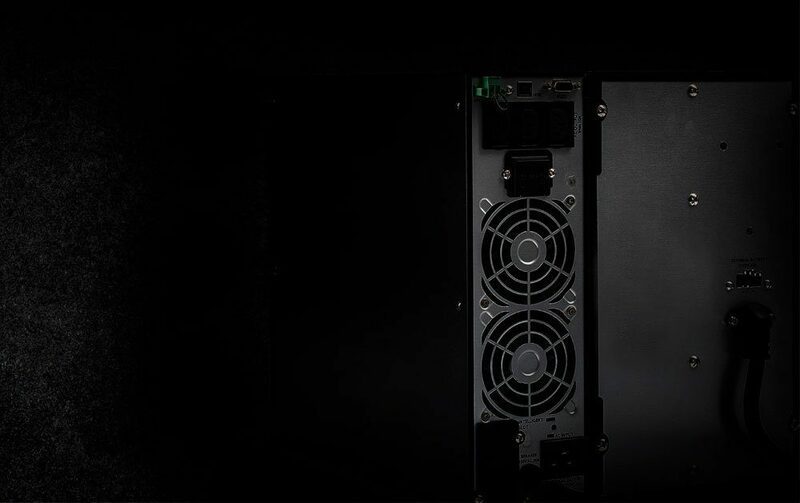 With nothing else like it on the market, the C800 UPS series can deliver unity power factor and a THDi <3% thanks to integrated IGBT technology and intelligent DSP based control. Ideal for critical applications, server rooms and small sized data centres the C800 has parallel capabilities for superior reliability through redundant configurations or improved capacity. A user friendly interface includes colour touch screen and intuitive monitoring and shutdown software for servers and operating systems. Additional intelligent communication options are available including SNMP, relay cards and Modbus. CertaUPS UK & Europe General Manager, Justin Tarrant-Willis commented: “The export side of the business has grown significantly over the last 5 years. Having established close working partnerships around the world, we continue to have an aggressive growth plan. As part of this, we have invested heavily in market research and the development of new UPS technologies. The introduction of the CertaUPS C800 is the perfect example of this. The gap for a compact 3 phase product was evident and we are confident that the C800 will provide a highly efficient solution to meet end-user demands. With substantial stock holdings at our UK site, we are able to provide CertaUPS C800 worldwide in a matter of days from project commencement. Further support is provided to all export partners in the form of pre-sales estimation, post sales technical support and a market leading 3 year warranty. CertaUPS is a global provider of uninterruptible power supply systems, which have been designed and engineered exclusively to cope with the harsh electrical environments of not just today but of the future. Manufactured using the finest quality components and to the highest technical specifications CertaUPS systems start at 800VA and include a selection of both tower and rackmountable systems up to 20kVA. Our unparalleled expertise within the field of emergency power enables us to deliver the most reliable UPS technologies along with industry leading technical service support. This all-encompassing and full-service approach makes CertaUPS one of the most sought-after UPS partners in the world. See the Three Phase product range here, or for further info email [email protected] or call 03333 130351.